I’ve never been a fan of the 9 to 5 work day. Or as I refer to it, the 9 to 5 nightmare. Its like a self-generating conveyor. You get one one end at 9 and plop off the end at 5. If you’re lucky, you climb the ranks of management, where the conveyor starts earlier and you get off later, the luckier you get, the longer the conveyor gets, you get on when you wake and get off when your head finally hits the pillow. I’ve been fortunate, even in my corporate conveyor days, I was lucky to be allowed to self-manage. By that I mean responsible for my own time, and the results I produce within it. As someone who is now self-employed, I often have to suffer this 9 to 5 nightmare for a period of a new engagement before my new clients trust me. Once they see me as trustworthy, I can focus on the desired results, not how much time I have to put into them. I can gradually move to managing my own time, and place, of work to where it best suits me. The positive side-effect for the client is that a supplier, or member of staff for that matter, when happy, is far more likely to produce outstanding results. What has this got to do with Minimalism ? 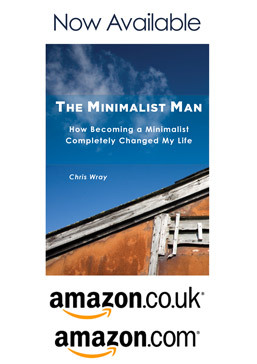 – Minimalism is the getting rid of those things we dislike, and spending more time on those we do. I dislike being controlled by the clock and I love to have the freedom to do things my way. It fits in my view of a minimalist lifestyle. Maybe you can argue with me on that one. So what makes the 9 to 5 nightmare for me ? For me we’ve become complacent, why do we still think the 9 to 5 still works now. – Why do we think our daily tasks will fit into exactly 8 hours. Why not 2 or 10 ? – Why do we ever think our most productive time is between these hours ? – We are the global village, much of our work involves those in countries spread across the planet, they might work 9 to 5 but its not the same 9 to 5 as ours. Starting early or finishing late makes it so much easier to communicate real time. – We clog up the travel network, the morning rush-hour and the evening rush-hour, because we all have to abide by those hours. Whats more, we pay more in these ‘peak times’ for public transport. If you’re sat in a car in queuing traffic, it costs so much in wasted time, when a few hours earlier or later make travel so much more enjoyable. – You can’t get anything else done. If I’m in the office, I can’t wait for home deliveries, can’t walk the dog over lunch, can’t hang out the washing. I can’t meet friends or family for a coffee. I like to work early, thats my most productive time and I have a natural lull mid afternoon where I produce almost nothing. Most people have their natural peaks and troughs of productive time. I know a few night-owls who love to work late in the evening. – I’m a great fan of being measured by results. Given that my clients employ my services to get stuff done, and we agree dates and deadlines with multiple parties, as long as we all meet those deadlines, it should be up to us how we meet them, and what hours we work to get there. As long as we’re adding value and the client sees value for money of course. – I’m a recent fan of Tim Ferris’ – The 4 Hour Work Week, I like the principle of being able to work anywhere, getting the mundane outsourced, and adding personal value to tasks rather than just slogging on the mundane for hours. – If I can outsource some of my tasks for less than I’m being paid, why not get someone else to do it and I’ll have the time. Particularly if its tasks you hate, or aren’t good at. Here I am writing this blog entry at 9:30 in the evening, is it work ? Maybe. I confess I had the idea in the clients office, and made the outline draft there and then. Is this wrong ? Maybe. But I started at 8 and with my head down, no involvement in office chit chat and gossip, I had my days tasks completed by noon. Did I go home ? No, the conveyor was still rolling. See what I mean, a nightmare ! If this blog post was useful please let me know your experiences in the comments. I’d be delighted if you joined me on Facebook or mentioned this on twitter. Why not sign up by RSS or e-mail to hear more.